Welcome to BondFunds.com. Please help us personalize your experience. Over the years, bond funds have helped democratize an asset class that was once difficult to reach for retail investors. Now, there is a fixed income fund for just about any investment objective you can dream up. Now that debt investing has been cracked wide open, the sheer number of options has made it tough for those new to the space to get started. 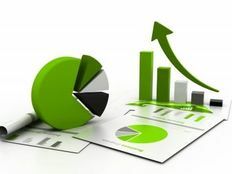 Below, we outline various kinds of bond investments, how they work, and popular funds that will help you invest in them. Treasuries are government bonds that are backed by the U.S. government. 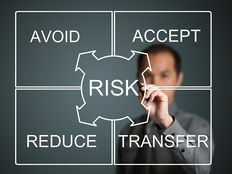 They are considered to be among the safest investments in the world, with many calling them “risk-free assets.” These debts can come in the form of bills (short-term), notes (medium-term), and bonds (long-term) with the major differences being time to maturity and the manner in which interest is paid. Because these securities have such little risk, their performance is typically influenced almost entirely by interest rates. In a falling rate environment, Treasury securities will see their prices increase. 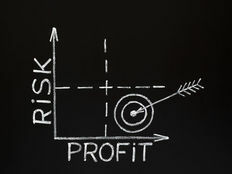 An environment in which interest rates are rising will decrease the price of a Treasury security, though that means that their yield will increase at the same time. Corporations can issue debt in the same manner that any government entity can, and in some cases corporate debts are among the most popular options on the market. Investment grade corporates are those that are rated as “investment grade” by the three major rating services: Standard & Poor’s (BBB and higher), Moody’s (Baa and higher), and Fitch (BBB and higher). The investment grade rating is reserved for those debts that have a high likelihood of being repaid and are relatively safe for investors, though safety cannot be absolutely guaranteed [see also A Brief History of Bond Investing]. This is typically on a case-by-case basis. Interest rates will certainly have an impact on the bonds, but investors will want to keep a close eye on the company to get an idea for how the bond will perform. A company that reports a solid financial position will likely see a positive performance for their debt securities. When Investment Grade Corporates Perform Poorly On the flip side, if it is discovered that a company has gotten in a bad way financially, bond prices could take a hit. Global risk perception can also play a big role; if investors begin to perceive that markets are becoming more volatile and risky, they may sell out of corporate debts in favor of Treasuries, thus decreasing the price of some corporate securities. Junk bonds are those that receive ratings that are considered to be “non-investment grade” or “speculative grade.” These securities have a higher chance of defaulting, but because of this, they often sport attractive yields. You may sometimes hear these securities referred to as “high-yield debt.” The potential for gains is great, but that comes with a higher risk of losses as well. Similar to corporates, junk bonds will perform well when there is evidence of sound financials from the underlying entity. Like every bond, interest rates will also play a role. Signs of financial distress or weakness from the issuer will drag down the price of these securities. General obligation municipal bonds (AKA GO municipal bonds, or municipal bonds) are debts issued by entities like states, cities, and counties, among others, in an effort to raise money for certain projects. The projects typically surround construction like building roadways or sewage systems. Because these bonds are typically based on a project, they tend to perform well when construction is going well and the completion remains on track. On the other end, unforeseen circumstances or any snags in construction will hinder the performance of these bonds. Governments from around the world issue their own bonds, and many investors choose to invest in the debts of nations beyond the U.S. These securities, which can be investment grade or junk, invest in government bonds from around the world. Before making an allocation, you will want to take a close look at where exactly the fund invests and which countries you are gaining exposure to. Signs of positive growth and financial position in the issuing countries will bolster the performance of these securities. Any economic contraction or fiscal issues that could spook investors will drag down the prices of these debts. These are debts issued by companies that are domiciled in countries other than the U.S. Just like corporate debts in the states, these can come in the form of investment grade or junk, which will dictate their yields. Investors should take precautions to be sure they understand any kind of tax implications or laws in the country in which the company is located, to be sure that they fully understand their investment. A positive performance in international corporates will be spawned by the same factors that generate a positive performance for domestic corporates mentioned above. A negative performance in international corporates will be spawned by the same factors that generate a negative performance for domestic corporates mentioned above. Emerging market debts are the bonds issued by governments of nations whose economies are considered to be “developing” or “emerging.” These securities tend to be riskier depending on the state of the issuing government, but they often have attractive yields to compensate for said risk. This group of debts is denominated in U.S. dollars, meaning that it will rely on the performance of that currency more so than the local currency. When Emerging Market Debts (Dollar Denominated) Perform Well First and foremost, a strong U.S. dollar will help the performance of these debts, but investors will also want to look at the financial position and economic health of the nation, as a positive indicator on those two attributes will be a green light for strong bond performance. When Emerging Market Debts (Dollar Denominated) Perform Poorly A weak U.S. dollar or signs of financial or economic instability in the issuing nation will drag the price down. These debts track emerging markets but are instead denominated in the local currency. For example, a bond from the Brazilian government will be denominated in real, the local currency. When Emerging Market Debts (Local Currency) Perform Well A strong performance in the local currency or positive signs of economic growth will bolster these bonds. When Emerging Market Debts (Local Currency) Perform Poorly A downturn in the local currency or weak economic progress will hurt the performance of these bonds. There are a wide variety of bond funds on the market, allowing you to gain exposure to just about any debt that is out there. Be sure to do your homework to ensure that you fully understand each fixed income investment prior to allocation.